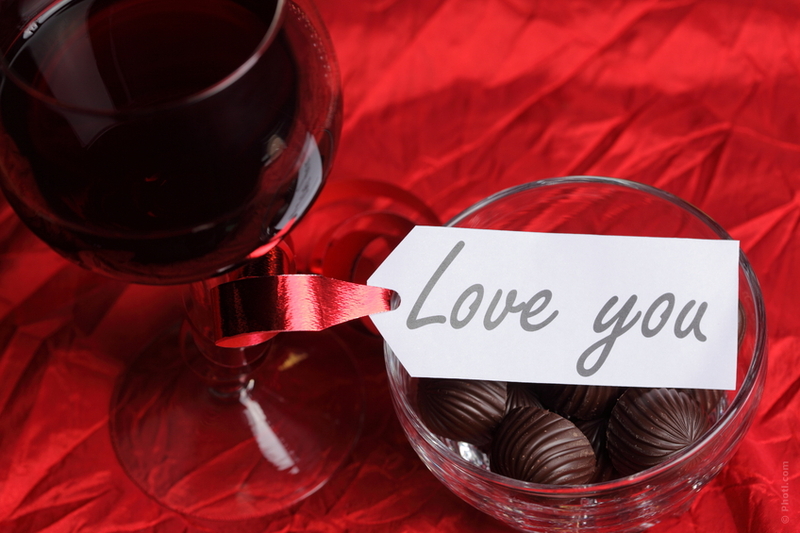 Valentine’s Day is the perfect time to show off and pair wine with chocolates for your sweetheart! Back in December, I contributed to another blog; an article on pairing chocolate and wine. During the holiday season, people ate a lot of chocolates and drank a lot of wine. 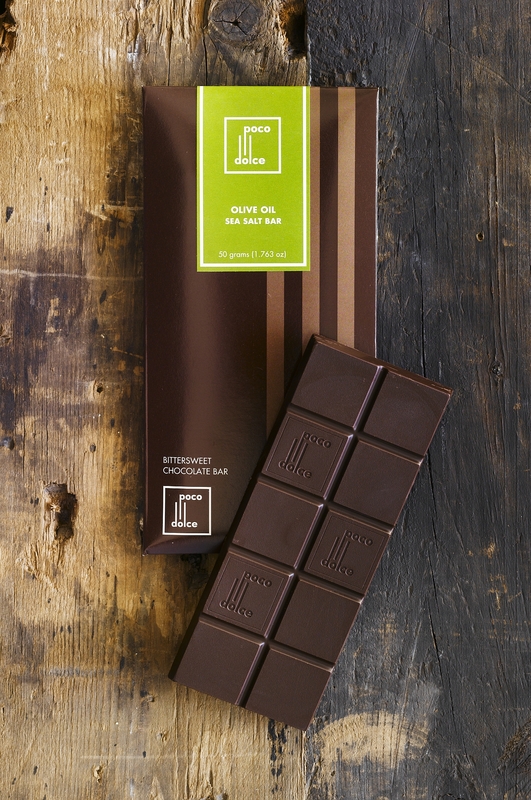 Naturally, it was a good time to post an article on pairing chocolate and wine. I held off on posting it on my blog, because I think that Valentine’s Day is a much better time to post this article. I never used to be a fan of pairing chocolate and wine. I thought it really didn’t work that well. Then, one day I sat with a local Chocolatier and tasted her chocolates. I popped open 20 different types of wines and after trial and error I was pleasantly surprised to see that there were some great pairings to be made. The number one rule is that the wine needs to be sweeter than the chocolate. Bitter dark chocolates seemed to go well with some reds; creamy milk chocolates worked well with Champagnes and late harvest and fruity dark chocolates went well with fortified reds. Most Ports were well suited for chocolates, but as you will see below, there are a lot of other more interesting combinations that are just as good. I was given the task to purchase the following chocolates at Whole Foods and find a wine for each. These are the results. I hope you enjoy! This is not a very bitter chocolate and has a rich sweetness. I find this style of chocolate to work best with fortified reds. Preferably wines such as Valpolicella Recioto from Veneto Italy. Another alternative are the wines from Jumilla, fortified wines made with the grape Monastrell from southern Spain. The reason I chose these is that they are made with sundried grapes and then fortified. They have chocolate, raisin and prune flavors that match well with dark chocolates. This is a dark, dark chocolate; it is fruity but not overly sweet. An obvious choice would be a port wine. However, I found that a sparkling wine also works amazingly well, but not just any sparkling. What matches well are sparkling reds. An Australian Sparkling Shiraz has all the fruitiness and richness that matches the fruitiness of the chocolate. Another great and lesser known option are the Sparkling reds from the Marche in Italy, Lacrima d’Moro. If you haven’t tried one, it has fruity, dark herbal tones and is off-dry. The bubbles provide texture, which create a pleasing contrast, and the wines have just enough sweetness to match the fruitiness of the chocolate. This chocolate is lighter with a crunch. Texture is so important in pairing wine and food. I find a sparkling rosé to work very well. One of the classic pairings is Champagne and french fries or potato chips. Salty foods are lovely with the high acidity of Champagne. I chose a rosé because it has a bit more red fruitiness, with flavors of strawberries and cherries. Berries and chocolate are a lot more pleasing than apples and chocolate. I recommend a Billecarte-Salmon rosé, but if that is not in your budget check out some of the sparkling rosés from the Touraine in the Loire. They make excellent, well priced rose made with the Côt grape, also known as Malbec. If looks could be deceiving this would be it. What seems to be a rich dark chocolate is actually fairly mild and has a bit of a nutty flavor. Again, port might be a classic pairing, but what I found to be more interesting is a tawny port. 10-20 year tawny worked well because of that oxidized nutty character from the oak barrels. What I also think is outstanding is an Oloroso sherry, one that is not too sweet but is just a little sweeter than the chocolate. Lustau Oloroso is an excellent choice. I know, I know, you don’t want to hear port. Well, two other wines work well with this chocolate. First of all, I really enjoy a fortified Grenache from the Banyuls region in France. It adds a fruity raspberry element to the chocolate. But what I also found to work well is an oaky Syrah. I recommend the wines from Sanguis in the Central Coast. Their fruit is super extracted; however, they go through 40 months of oak aging. You might think; What! 40 months? Yep, and they are not over oaked. The oak takes a full turn and becomes very well integrated. This works lovely with dark chocolates that are not too sweet and the toasty notes of oak work well with the nutty and vanilla flavors. Also try this with a bittersweet coconut macaroon. Interesting chocolate, and again what catches my attention is its texture. It is creamy, rich and savory. We can go in so many different directions. I find late harvest wines work very well with this chocolate. However, while tasting late harvest wines I came across Tokaji. I decided to try a dry version made with the grape, Furmint and it went very well. Other fun and interesting whites would be those that have a similar oily texture with honey aromas. A dry Semillon from Australia or Bordeaux is also a good alternative to a dry Tokaji. What I like about these bars is that they have a savory quality that makes wine pairing that much easier. Moscato d’Asti, an off-dry to sweet sparkling from Italy matches well with it’s texture and flavor. I also think that a Vouvray demi-sec made with Chenin Blanc from the Loire is a great pairing. What I am looking for is a wine that might have that off-dry character; not necessarily sweet. What I find enjoyable is the honey, orange and fruity flavors, but most importantly, acidity. Salt and acidity…it is classic. Champagne is also a good alternative, an extra dry; it has just enough sweetness with plenty of acid. Cool! See you on Valentine’s Day? I’ll be in for dinner if you’re around.